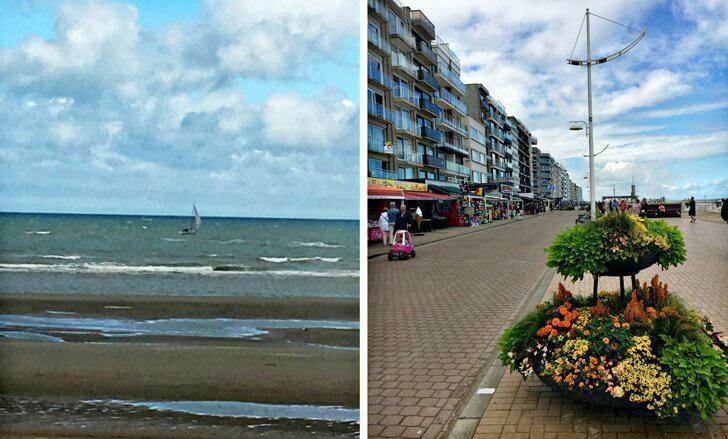 When it comes to Belgian coast, people usually think of Knokke, De Panne, or Oostende. But despite its relatively small (70 km) North Sea coast, Belgium has plenty of other sea-side towns worth visiting. So, when I had the opportunity to visit Koksijde, Belgium (or Coxyde in French), I was more than excited. On a rainy Saturday afternoon in July (it is Belgium after all), my little one and I jumped in the car for our journey to Koksijde. It’s roughly a one-and-a-half-hour drive from Brussels, and the route gets especially scenic after Brugge. Koksijde beach and the promenade, with high-rises dotting the Belgian Coast. Like other seaside towns, Koksijde has a wide variety of vacation rentals, apartments, hotels, and bed and breakfasts. I don’t like to do the cleaning and cooking when I’m on holiday, so I normally opt for a hotel or B&B. The thought of a bed and breakfast in a beachside town with warm hospitality seemed much cosier than a hotel run with clinical precision. We chose a charming Victorian cottage, the Loxley Bed & Breakfast, with welcoming hosts, for our stay. It’s perfectly located in the town, with proximity to the coast, shopping, and restaurants, while still nestled in a leafy neighbourhood. Koen and Anne welcomed us warmly and showed us around their lovely property. The property has three rooms, each different in décor and atmosphere. There are rooms suitable for vacationing couples or families with children. My little one and I were given a cosy room on the second that can accommodate a family of four. We loved the room and the attention to detail, with all the amenities required for a comfortable stay. I must give special mention to the L’Occitane en Provence toiletries provided for the guests. The cottage has a very homely feel with a tastefully decorated lounge and an inviting adjoining dining room. Here as well, I enjoyed the delightful setting and the beautiful colours, chosen by Anne herself. Anne has not only carefully conceived the cottage’s décor but is a gracious hostess, with her smiling countenance and warmth as she serves you freshly cooked breakfast in the morning. She and Koen bake fresh croissants and bread every morning, and it is delightful to enjoy them in the sunny dining room. Fresh fruits, local cheese, selected cold cuts, and freshly squeezed orange juice completed the breakfast. They also have a bistro, open in the evening, which, unfortunately, I could not enjoy due to the rain. No problem; I plan to return to their warmth and hospitality soon! 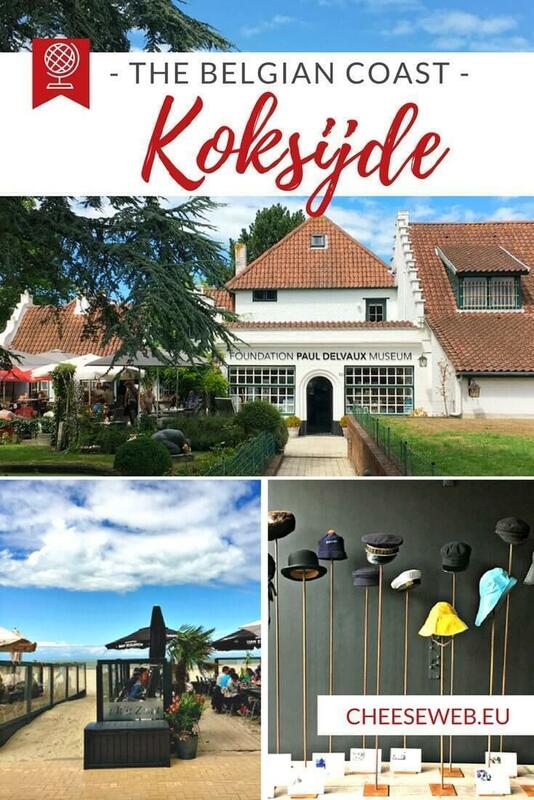 The Navigo Museum in Oostduinkerke is just a 10-minute drive from Koksijde, and the museum and its restaurant are definitely worth the drive. 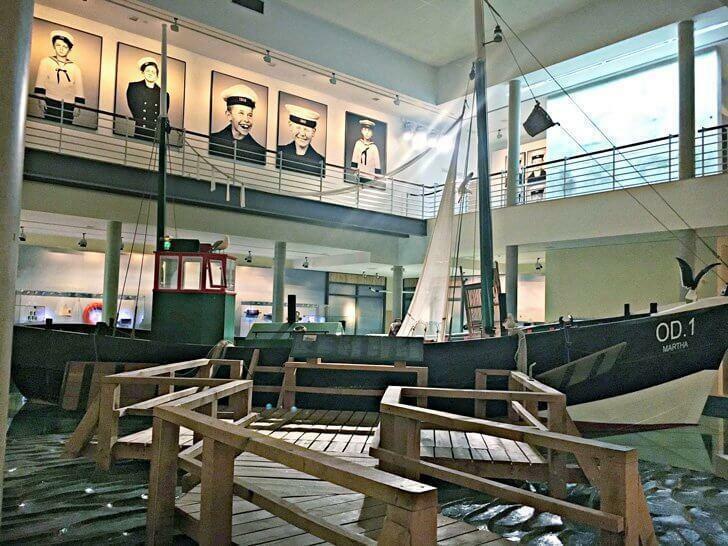 Navigo is the National Fisheries Museum and not only has an excellent collection citing the rich legacy of Flemish coastal industry but also houses Martha OD.1, a real coastal fishing vessel, as well as aquariums, a maritime gift shop, and a restaurant. The museum depicts the history and heritage of Flemish sea and coastal industry from the middle ages and vividly describes the life of the fishermen, their families, and the kind of life they led during different periods. There is a wall entirely dedicated to history with replicas of ships and other aids used for fishing in those days. There are also life-like models depicting the life of the fishermen’s wives and the life they led. The museum also showcases a church fishermen used to visit in the yesteryear. One of the biggest attractions at Navigo is a real fishing vessel, Martha OD.1, which is fascinating. My little one had a good time going up and down the ship. Kids also enjoy learning Morse code, and you can send a message in Morse code if you so desire. Many of the exhibits are interactive and can be a fun learning activity for kids and adults. The underwater world is simulated under the fishing boat which houses two aquariums and has an impressive collection of fish and other underwater attractions. Martha OD.1, a real fishing vessel. Notice the portraits of students at the IBIS Maritime School. There is a marketplace on the upper floor of the museum where sea produce is displayed. I especially loved the portraits of some of the students at the nearby maritime school, IBIS. Navigo also has an entire room of memorabilia donated by real fishermen and includes their hats, clothes, coins, and most interestingly, some personal diaries. 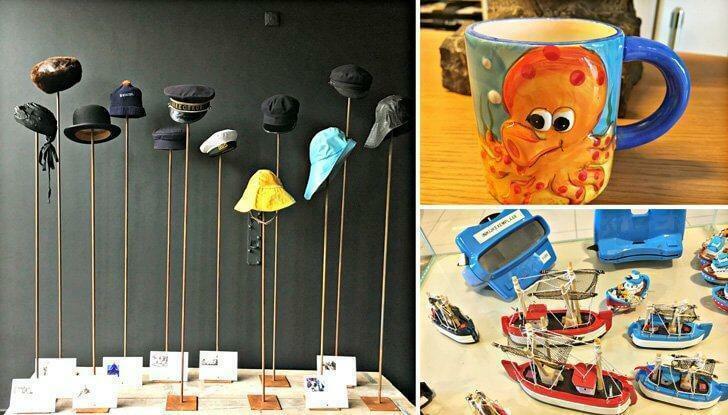 There is a maritime gift shop as well where you can pick up some mementoes. The museum is accessible and interactive, and there are audio guides in many languages. For only 11 euro, it is worth the visit! While in Oostduinkerke, don’t miss your chance to see the remaining Shrimp Fishermen on Horseback. This tradition has been designated by UNESCO and is truly a sight to behold on the Belgian Coast. 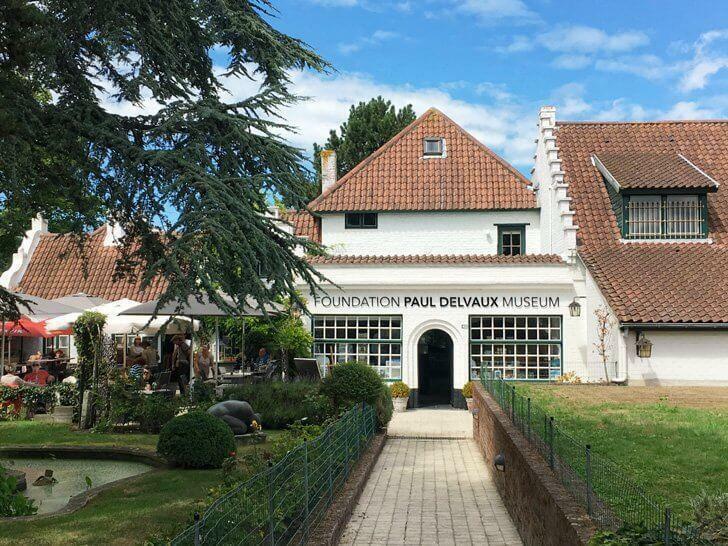 Koksijde also boasts of a museum of the artist, Paul Delvaux in the beautiful residential area of Sint Idesbald. The museum houses Delvaux’s paintings and also other objects that inspired his work. There is also a photo exhibition that helps one to understand his life and work. From Koksijde you are ideally situated to explore the rest of the Belgian Coast, including vibrant Ostende, the Atlantic Wall, and Blankenberge with its Belle Epoque Museum. Discover the route by car or sit back and leave the driving to someone else on the Belgian Coast Tram, the longest tram line in the world. While you are at the Navigo museum, do visit their restaurant Estaminet de Peerdevisscher. The restaurant is pleasing, and so is the service. Here, you can have the best Sole Meuniere in the region. My little one and I enjoyed the fish immensely. It was served with a generous helping of fries and a delicious salad with homemade dressing. They also serve cheese or shrimp croquettes that are crisp on the outside and delicate on the inside; just delicious! I loved the Sole Meuniere at Estaminet De Peerdevisscher Restaurant in Koksijde. Like other beach towns in Belgium, Koksijde has its share of high-rises and restaurants dotting the coast. Koksijde Beach is lovely, with soft white sand, shops along the promenade, and plenty of things to do for adults and kids, alike. Children can rent toy scooters or four wheelers and ride them along the promenade, while adults can enjoy at the different bars and restaurants along the beach. There is plenty of seafood to choose from, and the produce is fresh. The shopping is just next to the beach, and you can browse boutique stores and as well as the typical chains. Koksijde Beach on the Belgian Coast. 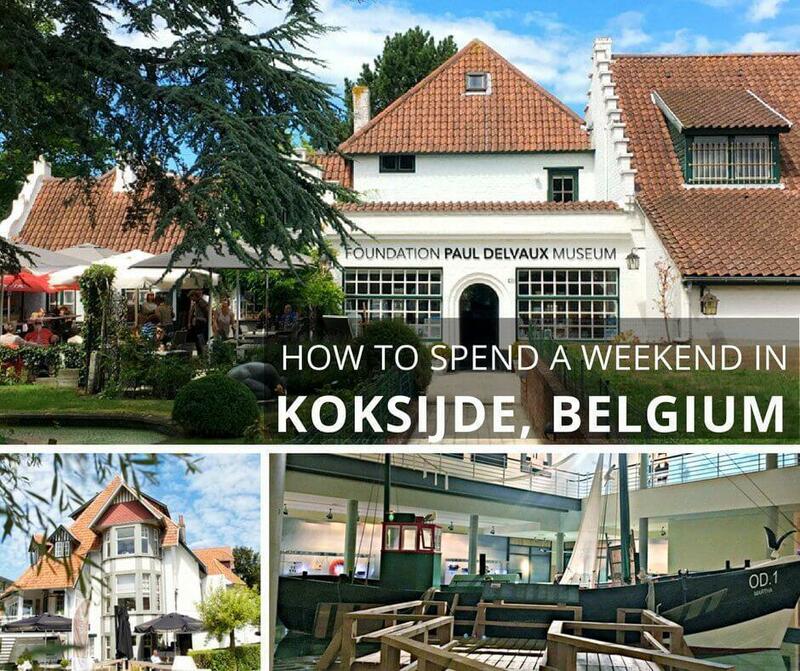 I loved Koksijde on the Belgian Coast as a perfect weekend getaway from Brussels. The town is lovely, with its tree-lined avenues and pleasing residential areas. 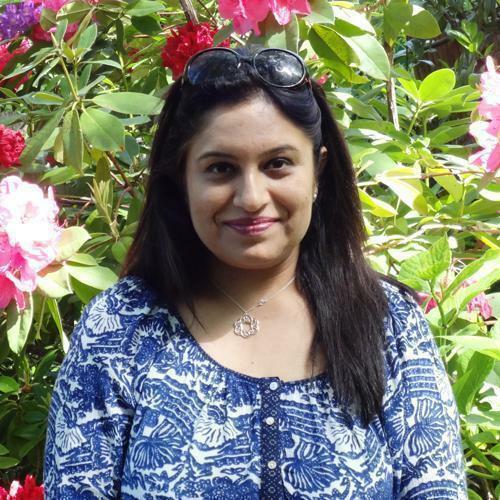 There is a pleasant, unhurried atmosphere around the beach which I loved. There is plenty to do, and I’m already looking forward to my next Koksijde visit! 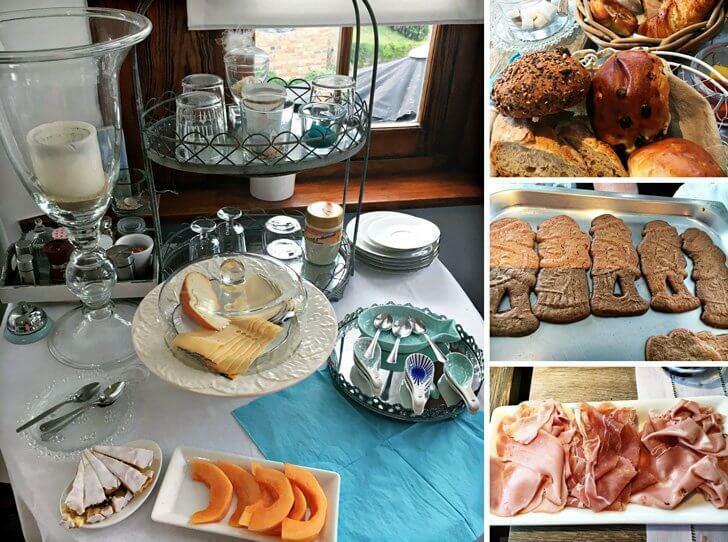 We’d like to thank the Loxley B&B and Navigo Museum for hosting Monika in Koksijde. As always, all opinions remain those of our writers.